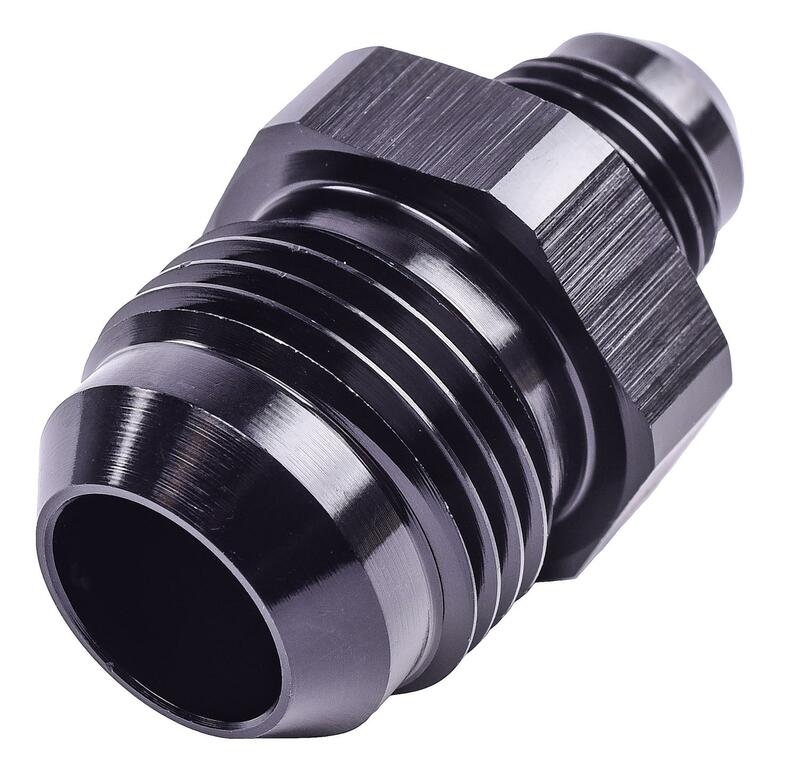 In various sizes, these fittings with male threads are machined from aircraft grade aluminum and anodized to resist corrosion. Use them to connect hose ends, such as fuel return lines and coolant assemblies. Sold 1/pkg. 110213 is rated 5.0 out of 5 by 1. Rated 5 out of 5 by CarlViciousGarage from Solid Fitting Just as described. JEGS products are a great buy compared to some other brand names. No Problems at all.